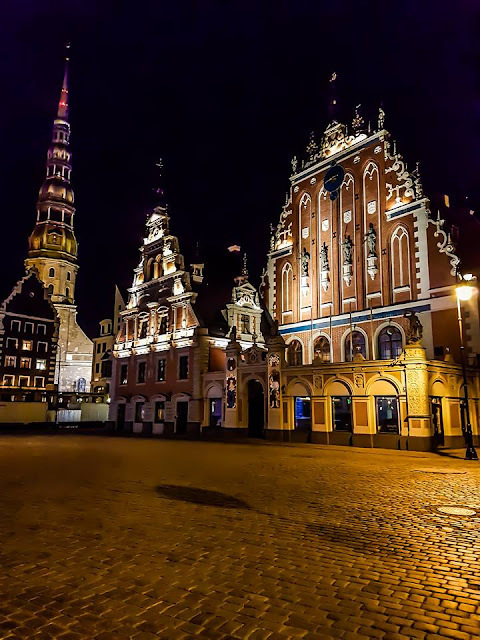 The entire area of the Old Town in Riga is a designated UNESCO World Heritage Site and, by any standard, is a must-see if visiting the Baltic city. The colours, sights and sounds are wonderful and it's handily compact and very easy to see on foot. There are hop on tour buses and trams, but, if the weather is decent, wrap up warm and hit the streets. Built in the 14th Century and uses to house unmarried German merchants (well, single men should all be confined to one space, no? ), the property was originally known as the New House before being changed to reflect the Brothers of Blackheads who lived there. During the second world war, the house was damaged, and has since been reconstructed. The building standing today was just finished in 1999 and is generally regarded as the most beautiful building in the city. Given Riga was occupied by the Soviets for such a long time, it's perhaps unsurprising to find out that the KGB were quite active here. Nowadays they're far more interested in US elections... #fakenews. Anyway, now that the KGB isn't quite so active, it's deemed acceptable for Latvians to conduct tours around the basement cells of the former secret service property. Known locally as the Corner Building, the museum on the edge of Brivibas, is a chilling reminder of the dark days of Soviet occupation and the people that lost their lives in the dark, damp cells below ground. On the 26th floor of the Radisson Blu Hotel on Elizabetes Street, there's a Skyline Bar offering panoramic views across the Old Town. The bar itself is chic and smart and the cocktail prices rather reflect that. There's a dedicated Skyline elevator which take you straight to the bar, and this is glass fronted, so you can peer out across the city on your way up. We expected to pay a €3 entry fee (as noted on the hotel's website), but it turned out to be free of charge. The views are spectacular from both sides of the bar, although the lighting does make taking photos without glaring reflections a touch difficult. Try out the Clavis Riga cocktail, which is the official city drink, and made with the notoriously strong and very popular Black Balzams liqueur. 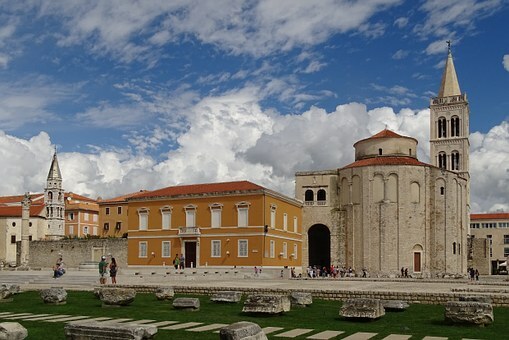 Sitting in the central region of the Old Town is the beautiful Cathedral of St Mary. It's one of the oldest churches in Latvia and the Baltics and is one of the most recognisable building in the city. During the Soviet occupation from 1957 to 1989, there were no religious services permitted in the building, which is a bit odd, considering its a Cathedral... Anyway, these days, it is free to host as many sessions of Mass as it can cram into one day. After all, it has many years to make up for, no? Next to the central bus terminal, there are 5 massive zeppelin hangars that are home to the central market. Each hangar is filled with different produce - - ranging from meat, fish, cheese, herbs and spices, and fruit and veggies - - and the market is the largest of its kind in Europe. I have never seen so many pickled veggies in a huge range of almost neon colours in my life. The first thing that stuck me about Riga's Castle was its positioning. It's not on a massive rock and it isn't surrounded by a moat, so it didn't look all that secure to me. It looked very much like the kind of castle I'd choose to invade, if I was an Invader. I'm not, though; I'm a tourist, but the castles I'm used to visiting are usually perched somewhere that, well...would put you off bothering attempting to take it over. Anyway, just because it's not at the top of a massive hill doesn't mean it's a bad castle; it's not. At all. It is, in fact, a perfectly lovely castle, and it's been sitting on the banks of the Daugava River in some form or another since way back in 1330. When the Swedes invaded (I told you it was too easy..), they built a few extensions and the complex is now quite sizeable. Whilst under renovation in 2013, the castle caught fire and suffered extensive damage. Not only was part of the castle destroyed, but parts of some historic collections in the museums were damaged by the water used to fight the flames. These days, the castle is home to the President of Latvia, which is nice, as it's really close to town so he can pop out for a pint of mile whenever he wants. 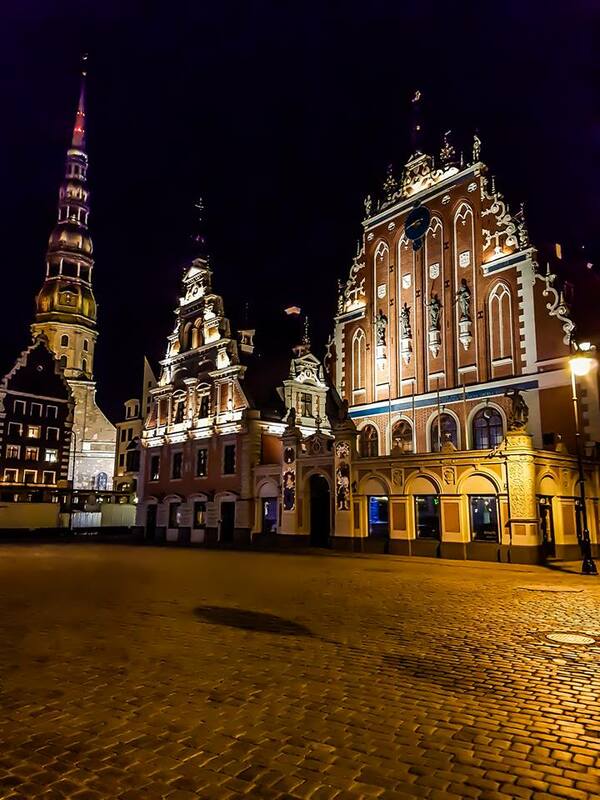 The three houses, situated in a row at 17, 18 and 21 Maza Pils Iela, are the oldest complex of lived-in residential properties in Riga. The oldest house (No. 17) dates from the 15th century and is representative of the Gothic period. Number 19 shows the influence of Dutch Mannerism architecture and dates back to the 1640s, while the property at 21 is Baroque in style and dates back to the 17th Century. Riga ghetto still exists in its former state, although this is not where the museum and memorial is situated. The museum and exhibitions are house in the creative arts/warehouse district and are thoroughly chilling. I haven't be so moved by something since I visited Auschwitz, and I genuinely never thought I'd experience anything like that again. The overall area is mainly made up of old cabin, and much of the museum is actually set outside and features an entire length of panels denoting the names of every single person who perished there. There's a train carriage to symbolise the various locations across Europe where Jews were transported to Riga to be shot or imprisoned, and the list of places is horrifically long. Although there hasn't been much funding to put the exhibitions into place, they have been done extremely well and this is really something worth taking time out to visit and pay your respect. Dating back to the 1600s, this gate was built as part of the old city walls and provided access to the barracks for the Swedish soldiers who were present in the city during the Swedish occupation. This is one of the oldest remaining parts of the wall and the only original part. It's a beautiful archway and another nod to Latvia's long and diverse history. 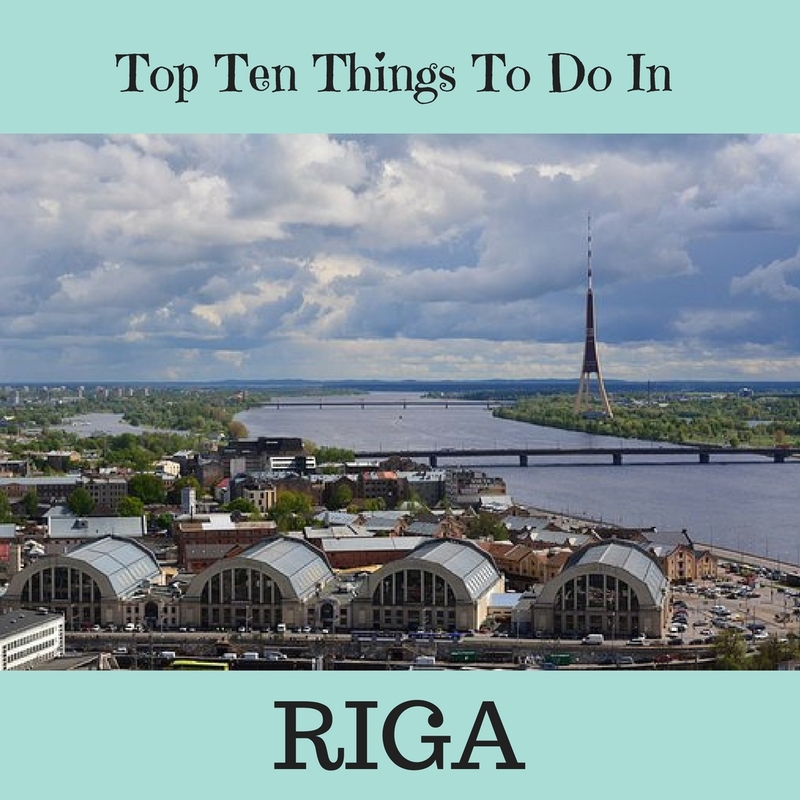 This is more of a quirky attraction than anything else, as Rozena has the glory of being the narrowest street in Riga. If your arms are long enough (and they likely will be if you're a normal sized adult), you'll be able to reach out and touch both sides. Amazing, huh? I know. Also, the street is extremely pretty and is a bit of a hidden gem, so it's unlikely you'll have to compete with hoards of tourists all having their pictures taken doing the same thing. The Leaning Tower of Pisa this ain't. When you finally tire of all the stretching, you can grab a beer in the bar at the end of the street. OR, do some stretching, grab a beer and then go back and do more stretching; it's completely up to you. Whatever you do; enjoy it.